Mark your calendars for Memorial Day Weekend--the Taco Festival of Innovation is coming to History Park on May 23rd and May 24th! This time around, the massive festival will span two whole days instead of just one. You can expect dozens of food trucks, SJ MADE vendors, live music, Lucha Libre, and the most eclectic selection of tacos you can imagine. All of the details are below. 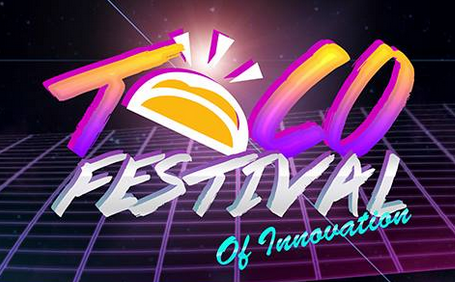 Follow the Taco Festival of Innovation Facebook Page for future news. This year, Moveable Feast rings in year four of the Taco Festival of Innovation by doubling up on all the taco fun! We are extending the festivities to Saturday AND Sunday on Memorial Day weekend inside History Park. This year’s theme is FREESTYLE: freestyle tacos and freestyle music! If you're a #tacofest vet, expect more of the great family fun and delicious street eats you've come to expect from Moveable Feast. • 4th Annual US Air Accordion Championship. Yes, you read that right. The key to the Taco Festival of Innovation is variety paired with affordability. In addition to traditional tacos, you'll see variations like Korean short rib tacos, mac n’ cheese tacos, ice cream tacos . . . if it can be put on a taco, chances are you'll see it at Taco Festival! We also make sure that all plates are $6.00 or less so taco lovers can take in the many choices without breaking the bank. LET YOUR VOICE BE HEARD! Vote for your favorite taco during the day, and we'll select a number of fan favorites to be judged by our celebrity panel, arriving at . . .
one taco to rule them all. Subscribe to our email list at http://bit.ly/mvblemail for more info on tickets, music, trucks, and SJ MADE vendors including special discounts.